Is Altice USA, Inc. (NYSE:ATUS) a good investment right now? We check hedge fund and billionaire investor sentiment before delving into hours of research. Hedge funds spend millions of dollars on Ivy League graduates, expert networks, and get tips from investment bankers and industry insiders. Sure they sometimes fail miserably but historically their consensus stock picks outperformed the market after adjusting for known risk factors. Is Altice USA, Inc. (NYSE:ATUS) a buy here? The best stock pickers are taking an optimistic view. The number of bullish hedge fund bets inched up by 4 recently. 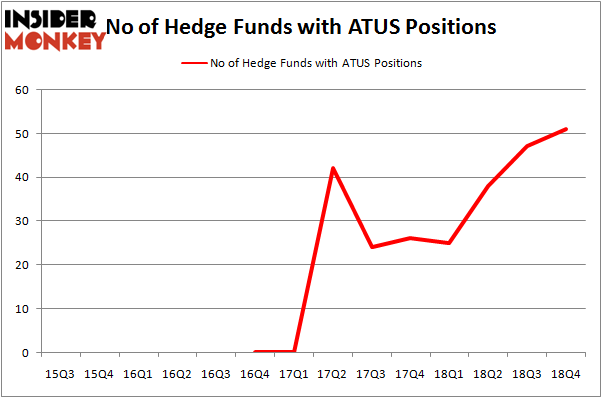 Our calculations also showed that ATUS isn’t among the 30 most popular stocks among hedge funds. Let’s check out the key hedge fund action surrounding Altice USA, Inc. (NYSE:ATUS). How are hedge funds trading Altice USA, Inc. (NYSE:ATUS)? At the end of the fourth quarter, a total of 51 of the hedge funds tracked by Insider Monkey were bullish on this stock, a change of 9% from the second quarter of 2018. By comparison, 25 hedge funds held shares or bullish call options in ATUS a year ago. With hedgies’ positions undergoing their usual ebb and flow, there exists an “upper tier” of noteworthy hedge fund managers who were upping their stakes considerably (or already accumulated large positions). The largest stake in Altice USA, Inc. (NYSE:ATUS) was held by Citadel Investment Group, which reported holding $293.6 million worth of stock at the end of September. It was followed by Pelham Capital with a $129.3 million position. Other investors bullish on the company included Sessa Capital, Zimmer Partners, and Renaissance Technologies. Consequently, specific money managers were leading the bulls’ herd. Senator Investment Group, managed by Doug Silverman and Alexander Klabin, assembled the largest position in Altice USA, Inc. (NYSE:ATUS). Senator Investment Group had $55 million invested in the company at the end of the quarter. Josh Resnick’s Jericho Capital Asset Management also made a $27 million investment in the stock during the quarter. The following funds were also among the new ATUS investors: Phill Gross and Robert Atchinson’s Adage Capital Management, Glenn Russell Dubin’s Highbridge Capital Management, and Pasco Alfaro / Richard Tumure’s Miura Global Management. Let’s now review hedge fund activity in other stocks – not necessarily in the same industry as Altice USA, Inc. (NYSE:ATUS) but similarly valued. These stocks are WellCare Health Plans, Inc. (NYSE:WCG), Vornado Realty Trust (NYSE:VNO), Expeditors International of Washington, Inc. (NASDAQ:EXPD), and Take-Two Interactive Software, Inc. (NASDAQ:TTWO). This group of stocks’ market valuations resemble ATUS’s market valuation. As you can see these stocks had an average of 36 hedge funds with bullish positions and the average amount invested in these stocks was $906 million. That figure was $1376 million in ATUS’s case. Take-Two Interactive Software, Inc. (NASDAQ:TTWO) is the most popular stock in this table. On the other hand Vornado Realty Trust (NYSE:VNO) is the least popular one with only 23 bullish hedge fund positions. Altice USA, Inc. (NYSE:ATUS) is not the most popular stock in this group but hedge fund interest is still above average. This is a slightly positive signal but we’d rather spend our time researching stocks that hedge funds are piling on. Our calculations showed that top 15 most popular stocks among hedge funds returned 19.7% through March 15th and outperformed the S&P 500 ETF (SPY) by 6.6 percentage points. Hedge funds were also right about betting on ATUS as the stock returned 31.3% and outperformed the market as well. You can see the entire list of these shrewd hedge funds here. 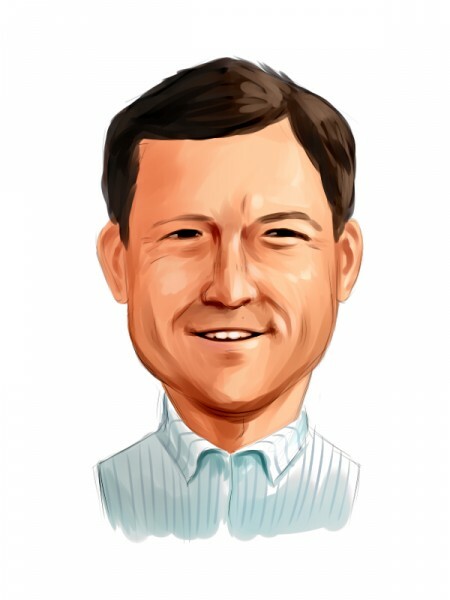 Sarissa Capital Management Hires New President 4 Ways To Play the Ride Sharing Trend 5 Ways to Play the Autonomous Driving Trend 5 American Companies that Will Benefit From the End of the Trade War Were Hedge Funds Right About Souring On Teck Resources Ltd (TECK)? Were Hedge Funds Right About Souring On News Corp (NWSA)?